When the few people who still have ESPN sit down to watch Monday Night Football tonight, they are in for a treat. Marvel has announced that they’ll be dropping their second Captain Marvel trailer at some point during the game. To get fans excited for the new trailer, Marvel has released a pretty baller new poster for the film. 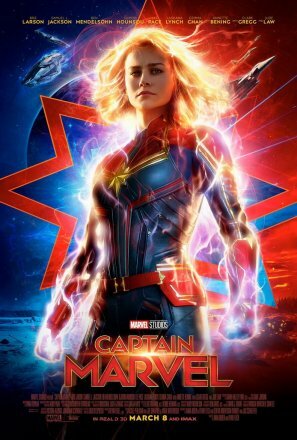 Captain Marvel stars Brie Larson as Carol Danvers, the strongest hero in the MCU. The film also Jude Law, Samuel L. Jackson, Ben Mendelsohn, and Lee Pace.